The Spirit is life. The Spirit gives life. The Spirit is the breath of God. The first mention of the Spirit in the Bible is found in Genesis 1:2 —"The earth was without form, and void; and darkness was on the face of the deep. 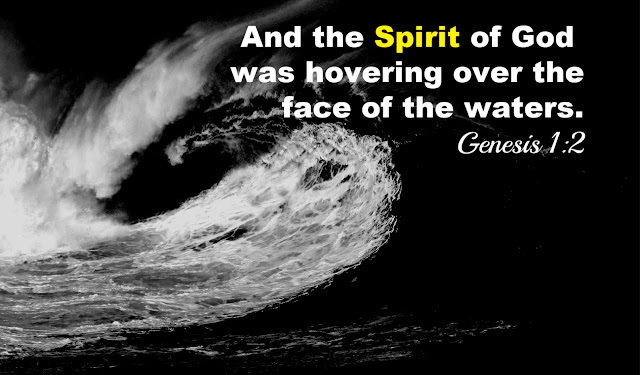 And the Spirit of God was hovering over the face of the waters." Before Elohim spoke the first words, the Spirit manifested its power—create and give life. The moment God released His breath on earth, life commenced. The chaotic, ugly, gloomy, dark, dead earth came into being. Immediately after, His mouth uttered, "Light be!" And the rest of creation followed through in pursuit of every word that came out of His mouth. There was no stopping until completion was accomplished. Everything was perfect, good, and very good. The life of earth started with the Spirit.